Shopping TV Channel / QVC - Quality Value Convenience is an American cable, satellite and broadcast television network, and flagship shopping channel specializing in televised home shopping that is owned by Qurate Retail Group. 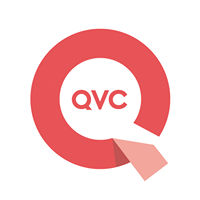 Founded in 1986 by Joseph Segel in West Chester, Pennsylvania, United States, QVC broadcasts to more than 350 million households in seven countries as QVC US, QVC UK, QVC Germany, QVC Japan, QVC Italy, QVC/CNR (China) and QVC France. QVC Japan is based in Makuhari, where its corporate headquarters and call center facility are located. Distribution facilities are in Sakura City. The company's 2013 sales were worth $1.02 billion.